This month’s theme for the #TwelveLoaves bakers is Malt. 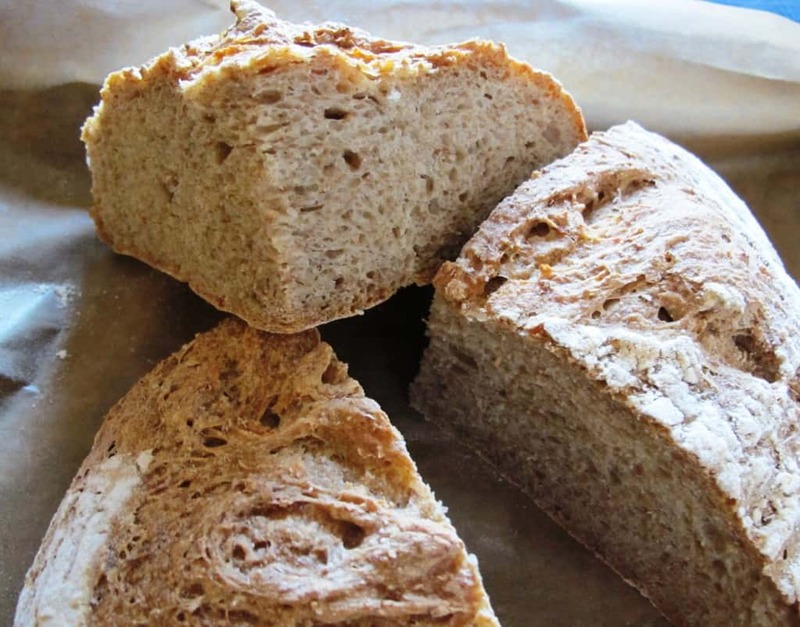 I have previously used malt extract for dark wholemeal breads to add flavour and as a source of sugar for the yeast. However, with malt taking centre stage this month, I wanted to do more and decided to home-malt rye grains to make my own malted flour. Malt is created when simple grains such as rye, barley or wheat are left to germinate and sprout. When this happens, active enzymes in the grain convert the starch into a simple sugar called maltose. If the grain is then dried and toasted, the maltose darkens in colour and takes on a complex, rich caramel flavour. 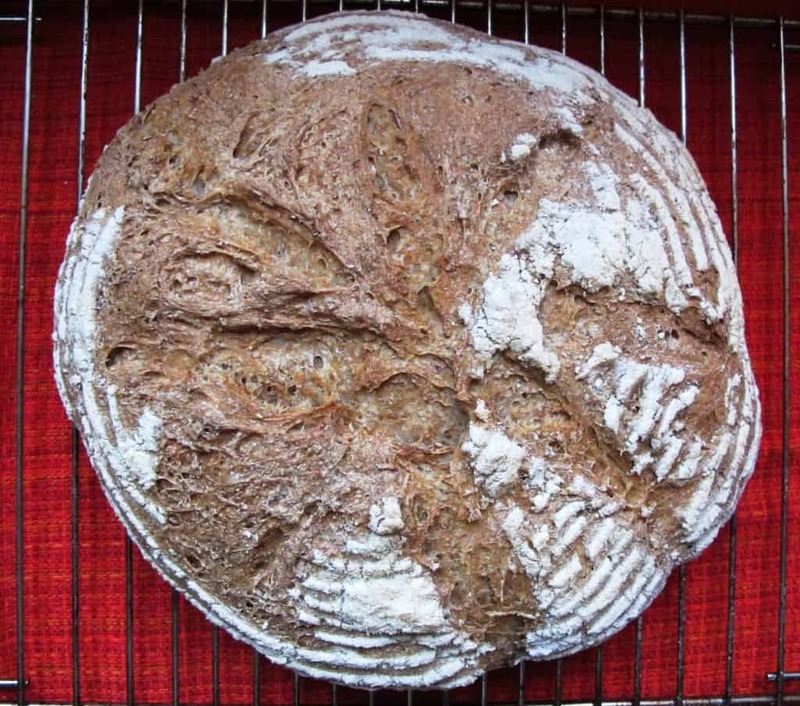 In this post, I’ll show how I made malted flour at home and then used it to bake a delicious Danish rye bread loaf. 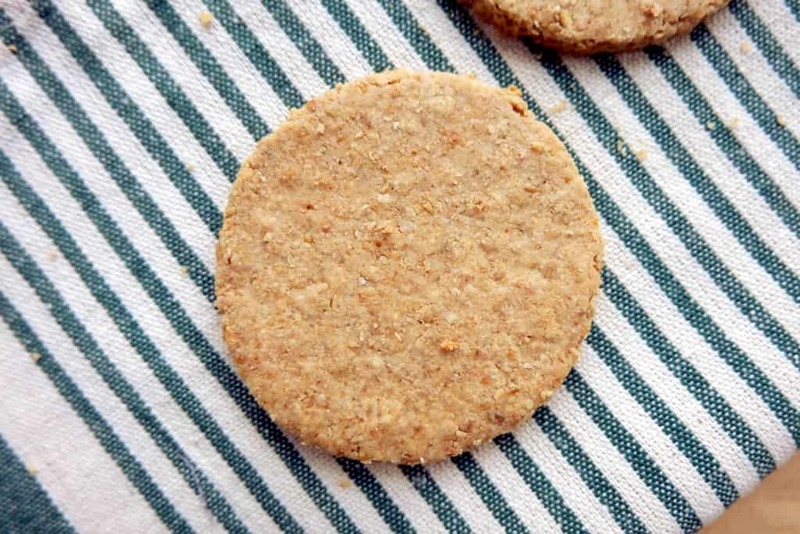 How to make malted flour at home? 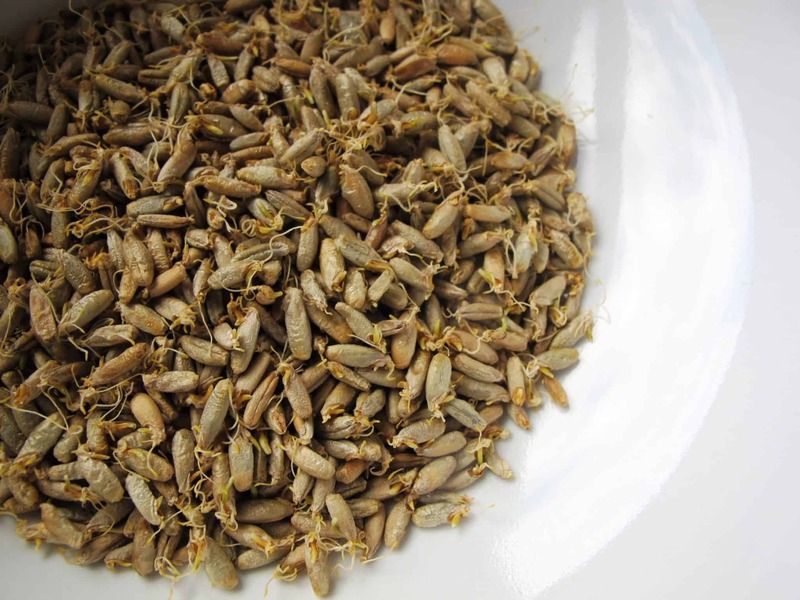 Germinate a handful of grains such as rye, barley or wheat – I used a germinator to do this. The process takes about 2 – 4 days depending on the temperature in your room. Germinate until the shoot is about the length of the seed itself. 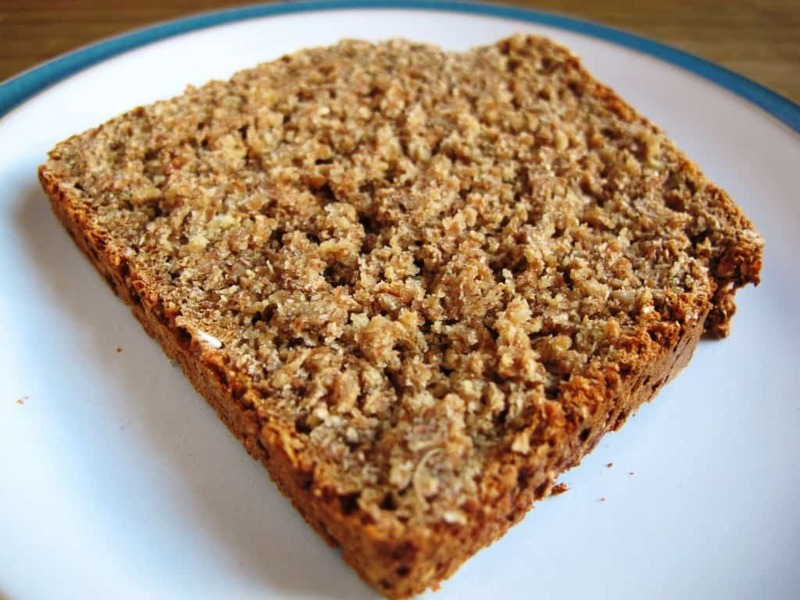 Dry the sprouted grains by laying them out on kitchen paper and leaving them to dry at room temperature for 12 hours. Move the air-dried grains onto a baking tray covered with baking paper and roast at a low temperature (50 – 75°C) for 2 to 3 hours. Drying the grains halts the germination process but the temperature at which the grains are roasted is important. Lightly roasting the grains at a low temperature (as above) ensures that the the flour remains ‘diastatic’ i.e. 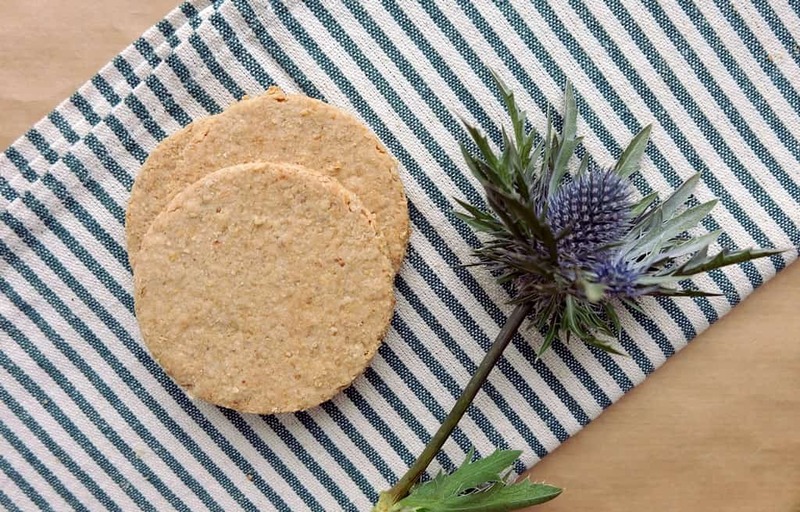 the malted flour will still contain considerable enzyme activity to increase the extraction of sugars from the flours for use as food during the fermentation process, yielding a strong rise, great oven-spring and increased crust-browning. More heavily roasted grains result in a much darker flour but the enzyme activity is destroyed. 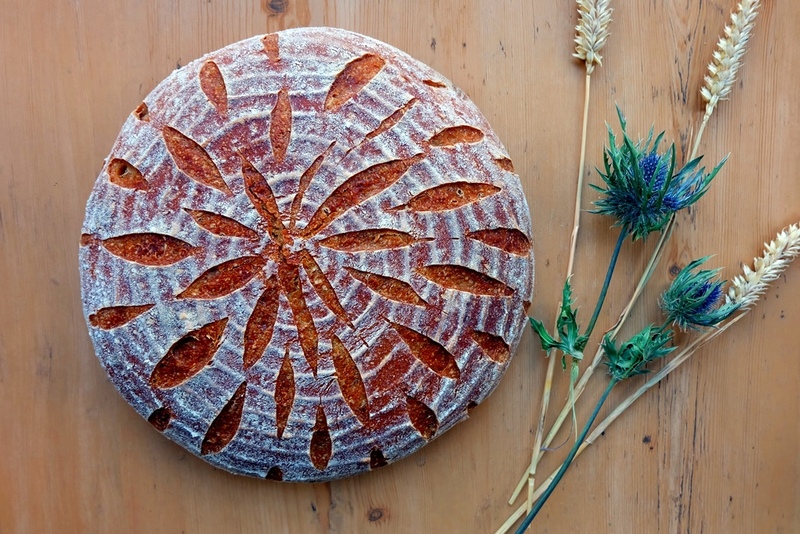 Flour made from such grains are used for purely for colour and flavour. 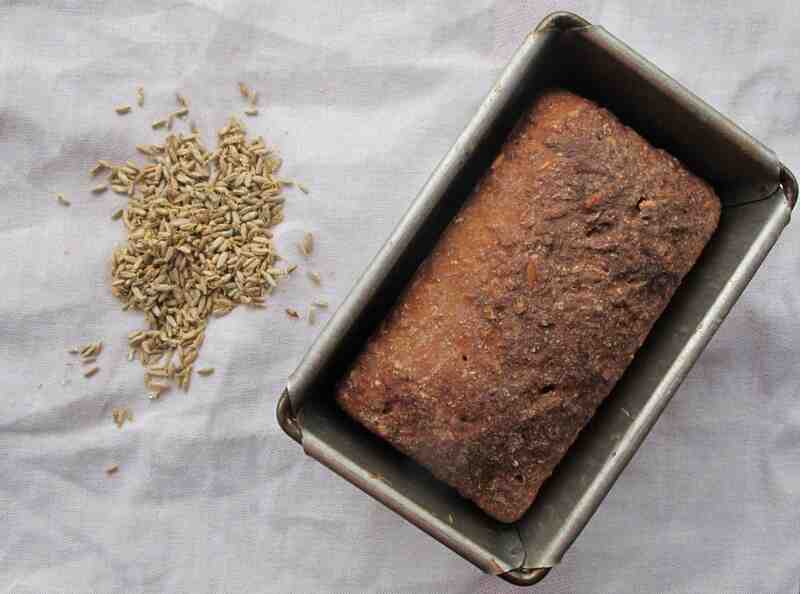 Grind the sprouted and dried grains into flour. 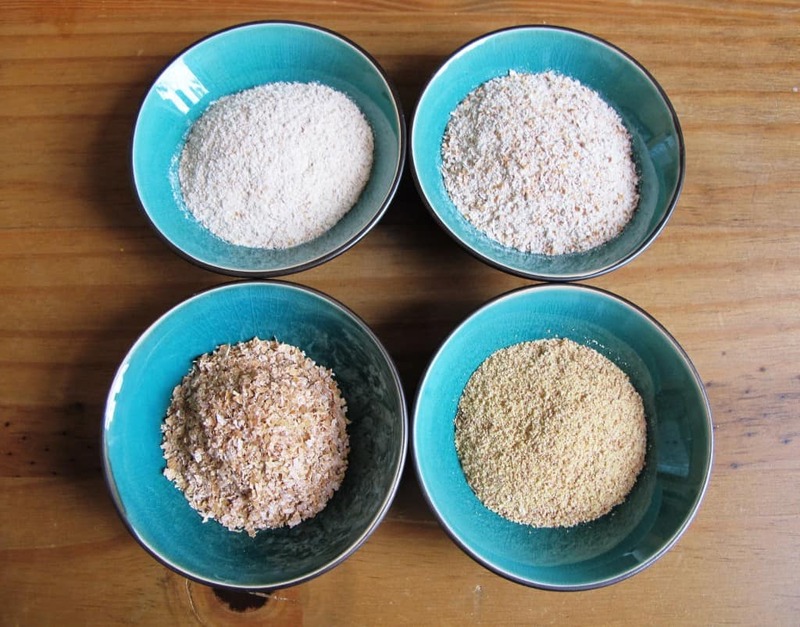 Very finely ground malted flour can sometimes also be referred to as malt powder. And here we have it! Malted flour i.e. flour ground from sprouted, dried and roasted grains. 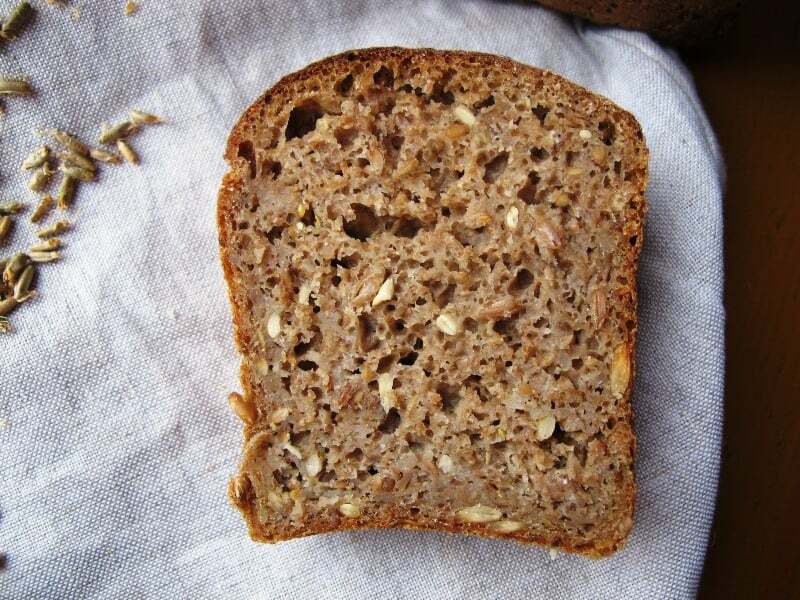 In bread baking, malt ingredients are used in small quantities (around 1% diastatic malt flour as a % of overall flour used) while for sweet malt bakes (e.g. 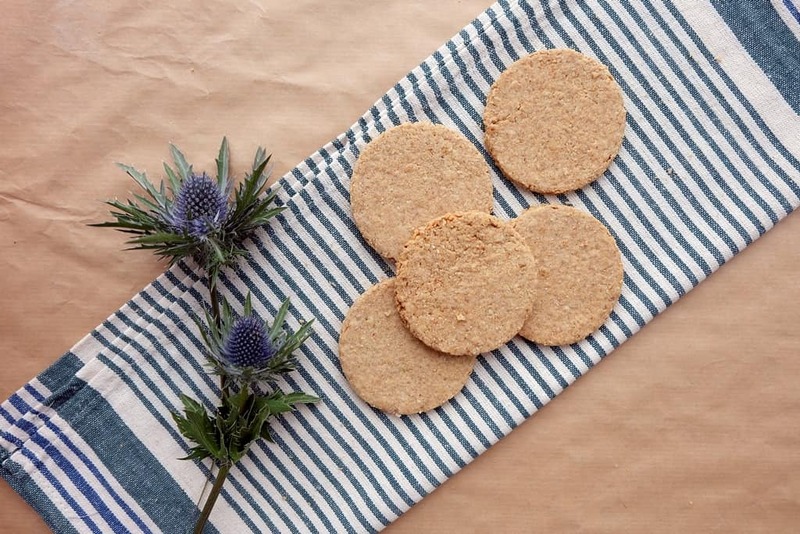 for malt loaves, malted cookies and malted chocolate tarts) generous quantities of malt extract and malt flour are used to achieve the distinctive flavour, colour and stickiness. Combine the starter, flours and water in a bowl, mix well, cover with a lid and leave to rest at room temperature for 16 – 24 hours. 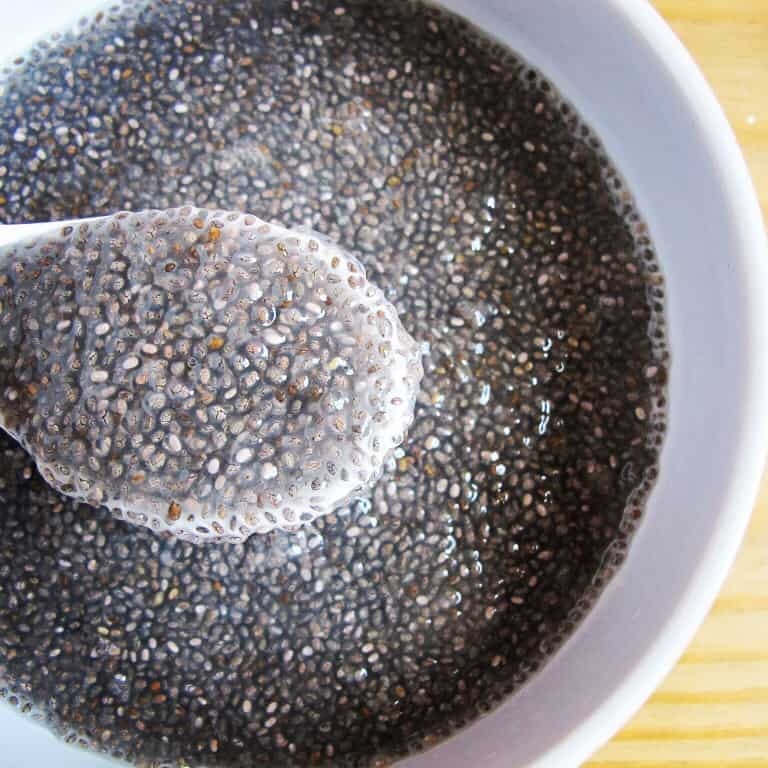 Toast the sunflower seeds and oats in a non-stick frying pan. 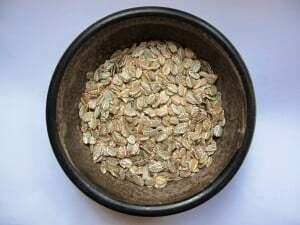 Turn them often and watch the seeds and oats closely to avoid burning. 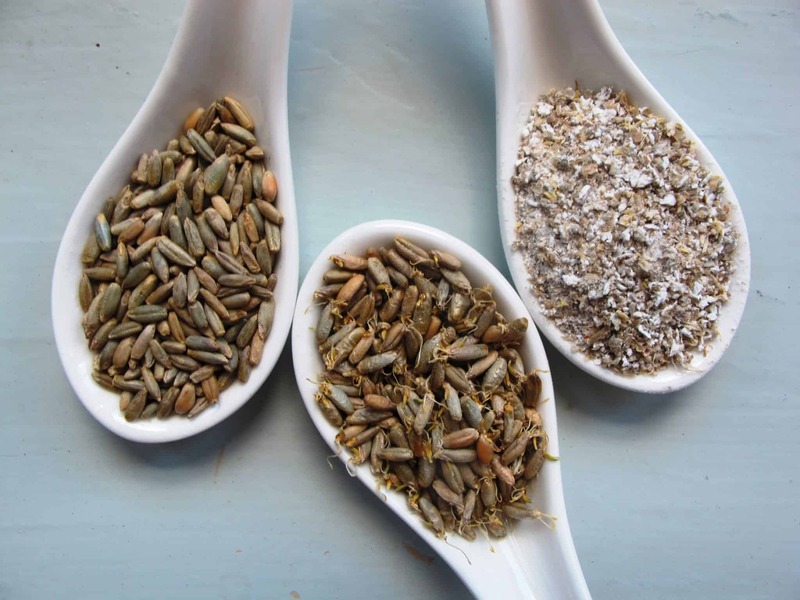 Combine the toasted seeds and oats, the flaxseed and cracked whole rye in a bowl, add the salt and the boiling water. Mix well, cover with a lid and leave to rest for 16 – 24 hours. Place the rye berries in a small pot and cover with cold water. Bring to boil and continue for about 45 minutes. Top up with more water if needed. Using a sieve, discard any remaining water. Leave to cool. Combine 400g of the sourdough, the toasted seed and oat mix, the boiled rye berries and the final dough ingredients in a large bowl. Mix with your hands – you won’t be able to knead the dough as it’s too sticky. Cover the bowl and leave the mixture to rest for 30 minutes at room temperature. Butter a large loaf tin (I used a tin 33 x 10 x 10 cm). Give the dough mixture another good mix with your hands. Move the dough into the loaf tin and spread evenly. Cover the loaf tin and place the dough in the fridge overnight (approx. 12 hours). Remove the tin from the fridge for approx. 1 hour before baking to bring the dough back to room temperature. Bake for 15 mins at 250°C and for a further 50 mins at 200°C. Perfectly delicious with just butter, with all types of strong cheeses, all salty food as well as pickled or smoked fish. Our host this month is Heather from girlichef, and our theme is Malt. 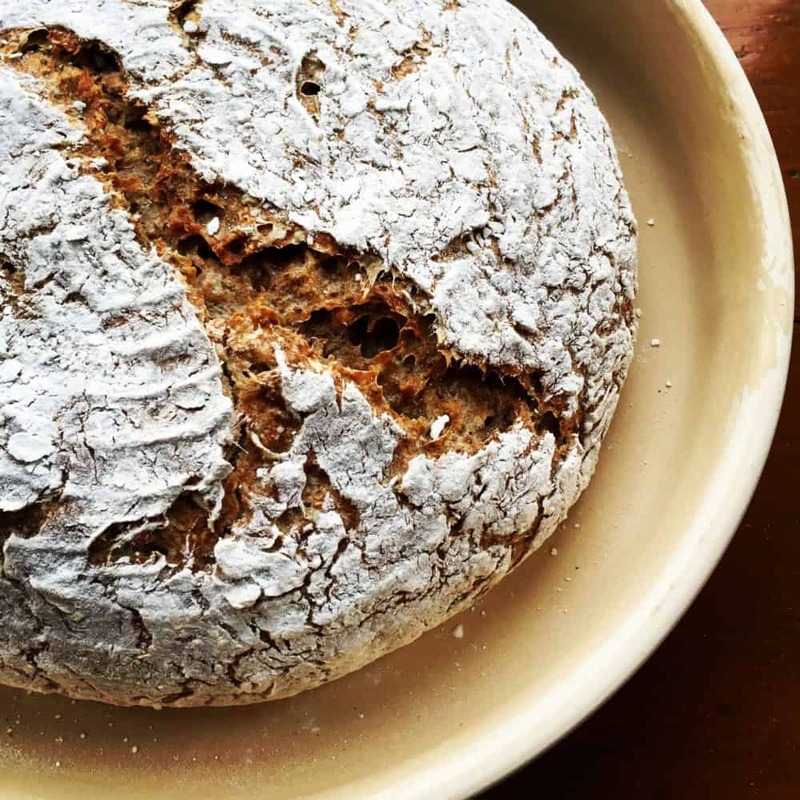 For more bread recipes, visit the #TwelveLoaves Pinterest board, or check out last month’s selection of #TwelveLoaves Jewish Breads! 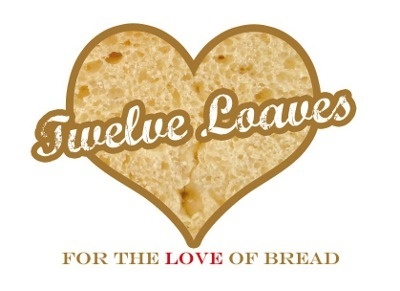 If you’d like to bake along with us this month, share your Malt Bread using hashtag #TwelveLoaves! One of my recent visits to Ireland brought me to The Cliff House Hotel in Ardmore and, oh my, they do good brown bread there. Luckily, I found the recipe in The Cliff House Hotel Cookbook: Granny McGrath’s Brown Irish Soda Bread. Some of the ingredients were rather hard to find in the UK (they are more readily available in Ireland) but I did succeed and found what I needed. The recipe is fantastic. There is no doubt, this is the real deal. Look at that. What a beauty! 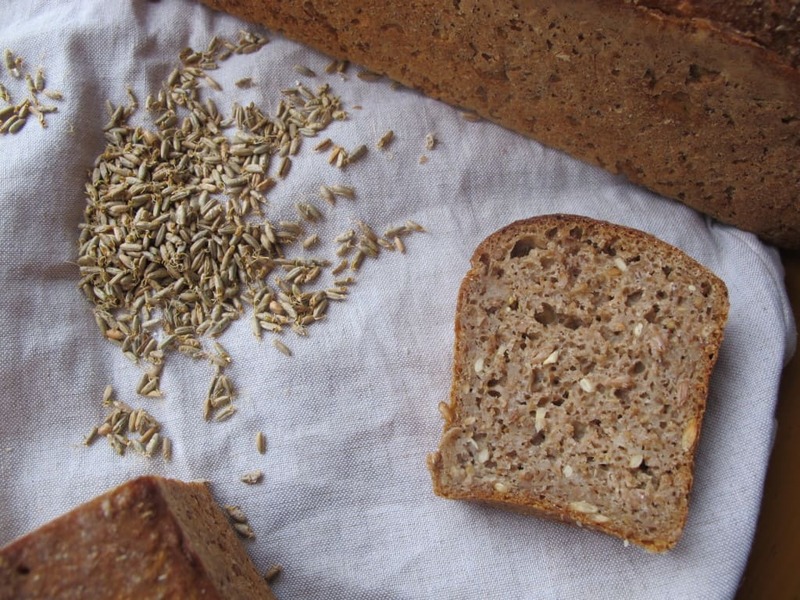 A beautiful recipe for brown Irish wholemeal soda bread. Mix (best to use your hands) to quickly combine all the ingredients. The dough will need only the minimum amount of handling. Kneading the dough is unnecessary and would in fact toughen the bread. Enjoy! I have also got a delicious recipe for a traditional white soda bread if you are looking for a more simplistic soda bread loaf.